Lemon Daiquiri is a bright, neon yellow (with just a hint of green) crelly formula with scattered holographic particles. In the bottle, it didn’t appear to be particularly neon, but once I applied and built it up, it really popped. This polish glows like crazy under a black light! Although I am often wary of yellow polishes, this one had a surprisingly good formula. The first coat was a bit uneven, but it built really well and was completely opaque in three coats. 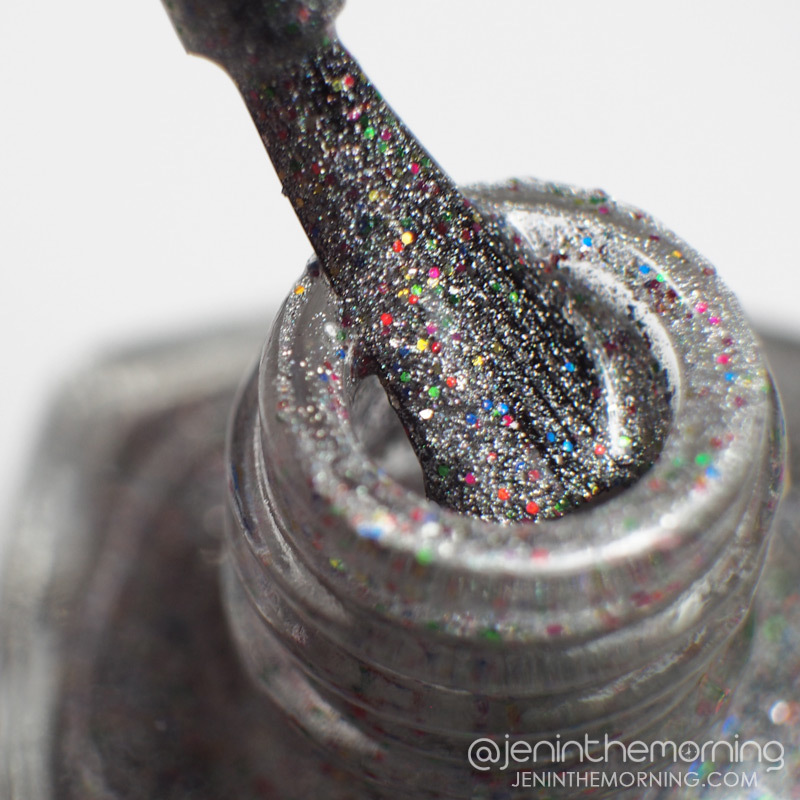 Unfortunately, the holo does get drowned out in my shots, but the macro does it a bit more justice! 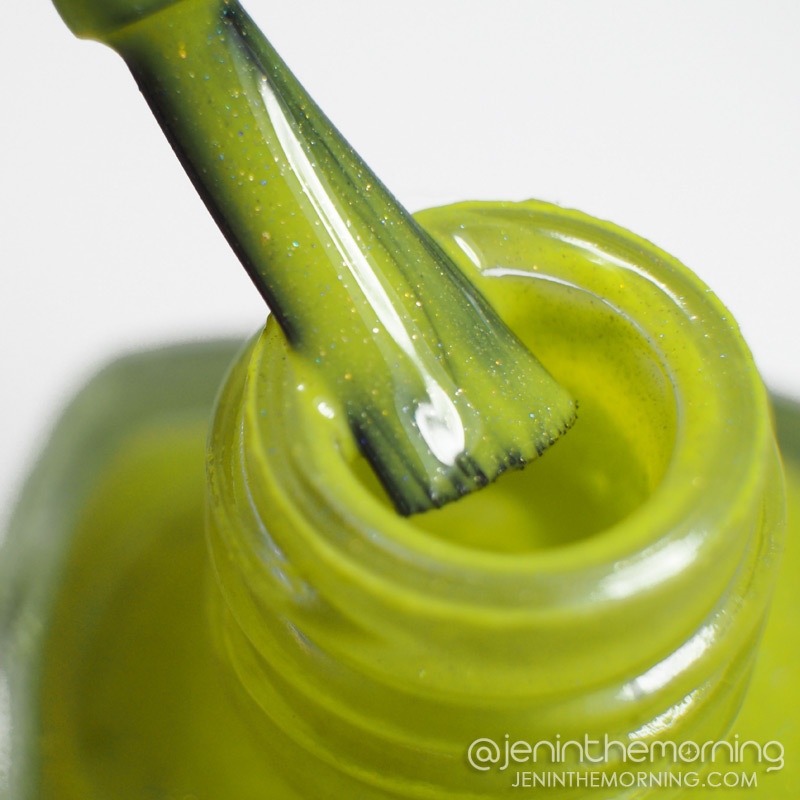 Shown in my swatches with one coat of Seche Vite. 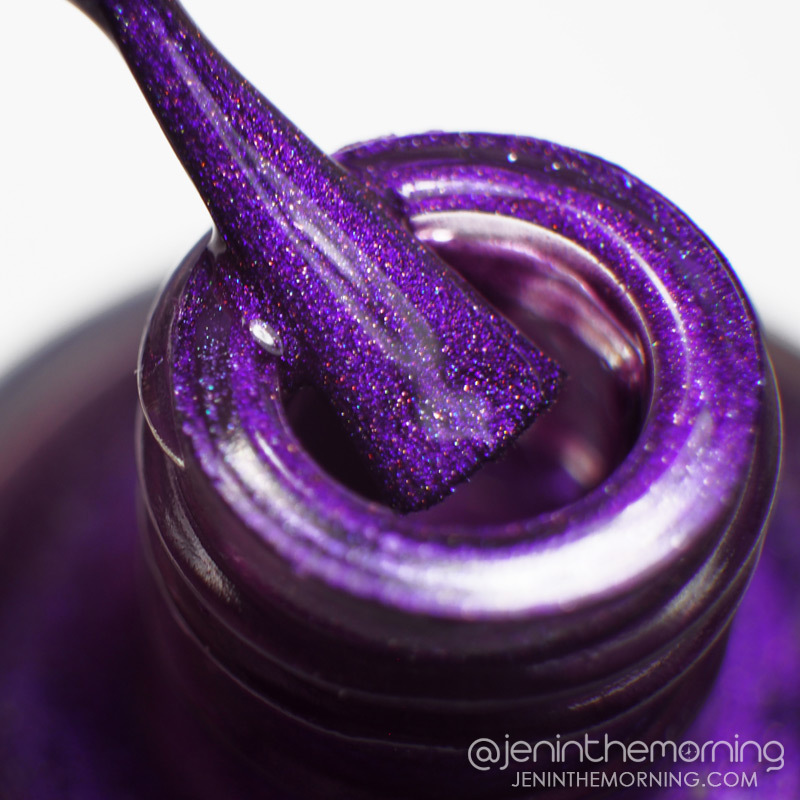 Good Girl Gone Bad is an absolutely gorgeous metallic, jewel-toned purple with scattered holographic particles. The color is both rich and bright. The formula was fab-u-lous! It applied really smoothly with no bleeding into my cuticles With a thick coat, you might be able to get way with one coat, but I applied very thin and needed two for full opacity and color-depth. While the holo isn’t super dense or flashy, it is more like a happy surprise when you shift your hands around – although it steals the show in direct sunlight. Shown topped with Seche Vite. 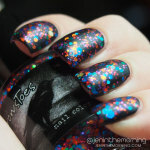 Sherbet Sprinkles is an absolutely gorgeous silver base loaded with tiny multi-color holo glitters. This is my runaway favorite of the samples I was provided with. Once again, this has an exemplary formula – it goes on smooth and perfectly – though it does need to be built up and I used three coats for full opacity. From a distance this polish may appear a bit subdued, but any kind of movement brings it to life and it is pretty wowza! in the sun. It’s like a party in a bottle 🙂 This does dry down textured, so if you don’t like texture you will need to add a topcoat – but I found that one coat of Seche Vite was plenty to smooth it out. That is it for the polishes, but as someone who appreciates good branding and merchandising, I have to point out how adorable the mini-bottles are! There is a little frog on the top of the cap. I just love that little detail, especially since I use drawers to store my polish – it totally helps to quickly identify the brand! 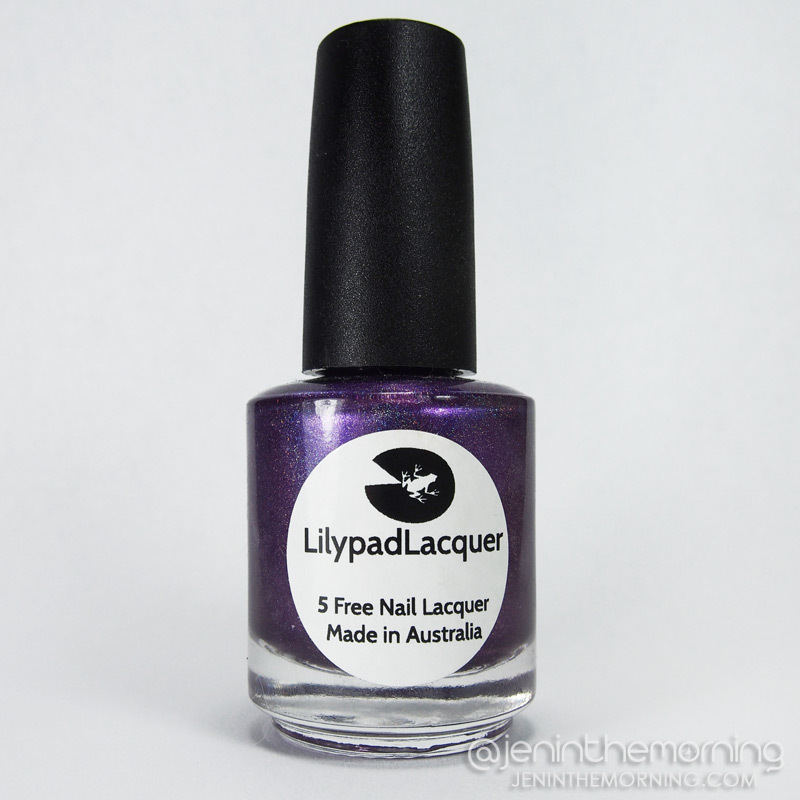 All Lilypad Lacquers come in a 15mL and a 7mL size and are available on her website Lilypad Lacquer. I love, love, loved how consistent the formula was on all of these finishes. I don’t care how gorgeous a polish is, if the formula is crap, I am not going to wear it. Lilypad Lacquer really delivers and I was very happy to report that all of these polishes have an above average formula. I usually dread yellow polishes but this one was above average for the type of color. Sherbet Sprinkles was my favorite – it was just so festive and pretty and could be good for many different occasions or fantastic as an accent nail! 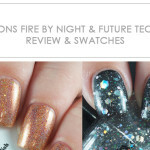 If you are in the market for indie polish, you should definitely check out this brand! < Back to (Nail) Business! Yay happy to see you blogging again! I love these colors! I love this entire collection, your swatches are gorgeous! That purple looks great on you! So glad you’re blogging again. That purple is a stunner. These would be amazing together for nail art! These all look great on you! I love Lilypad. Gorgeous, I am so happy to see your swatches!! These look so gorgeous, but I have to say Sherbet Sprinkles is definitely my favorite.